This is a small engineering tool that calculates member forces and support reactions of a continuous beam. It is based on CBA. m for matlab/octave by Colin Caprani. Cba is a simple, easy to use application designed to help you with continuous beam analysis. 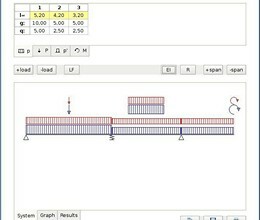 The program calculates member forces and support reactions of a continuous beam. The graphical output can be done via gnuplot or spreadsheet application. The solving "engine" is a c++ class (cbeam_class), which is accessed by both the command line version (cba) and the gui (wxCBA). The graphical user interface is powered by wxWidgets framework and covers almost all of the features of cbeam_class, use the command line tool, if you want different moments of inertia, higher precision or batch processing. 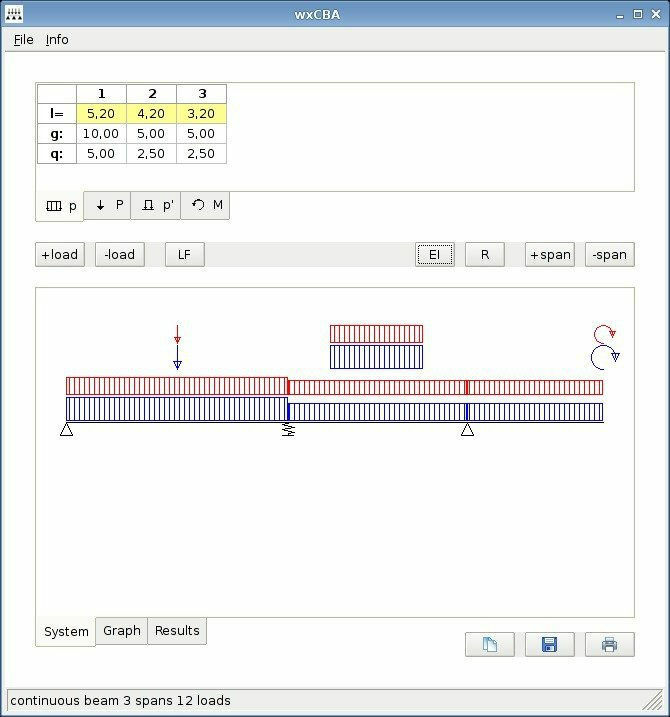 * CBA - Continuous Beam Analysis download link provides gnu general public license version of the software. CBA - Continuous Beam Analysis has been rated 3.3 out of 5 points. A total of 6 votes cast and 0 users reviewed the software.